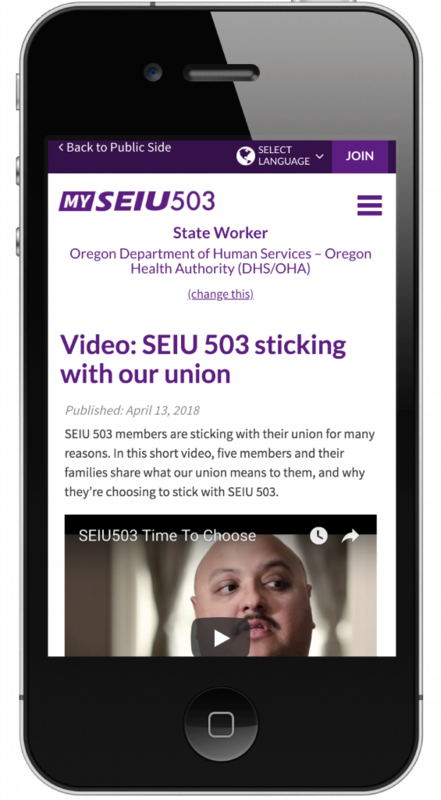 This year, our SEIU 503 Board of Directors has invested in better communications systems to make sure members can stay engaged with our union. A revamped website is a big part of that effort. We’ll walk you through the main features so you can get the most out of it. The first thing you’ll notice when you enter the site is the job-specific member link at the top of the page. Once you’ve entered this information, the site will remember you and deliver relevant content when you visit. Some key features include your worksite (which you can always change), your contract and relevant news. The contract is a great example of why this system is so convenient. Instead of scrolling through a long list of contracts, and wondering if you’re finding the right one, now you just click one button and you know you’re getting it right. 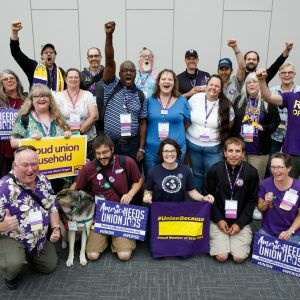 Never miss another union meeting. 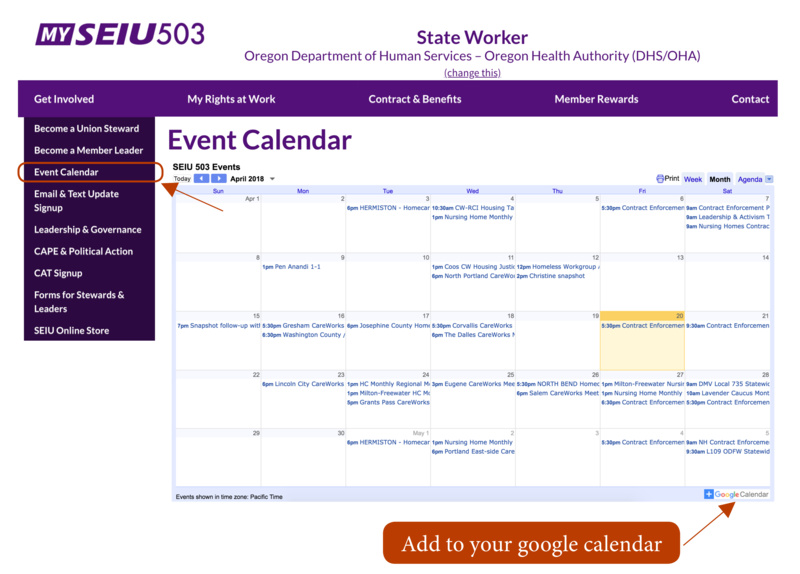 With the new Calendar you can always know what’s happening in your area. 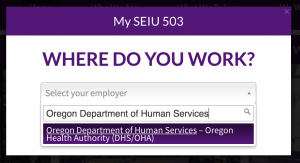 Curious about what perks come with being an SEIU 503 member? 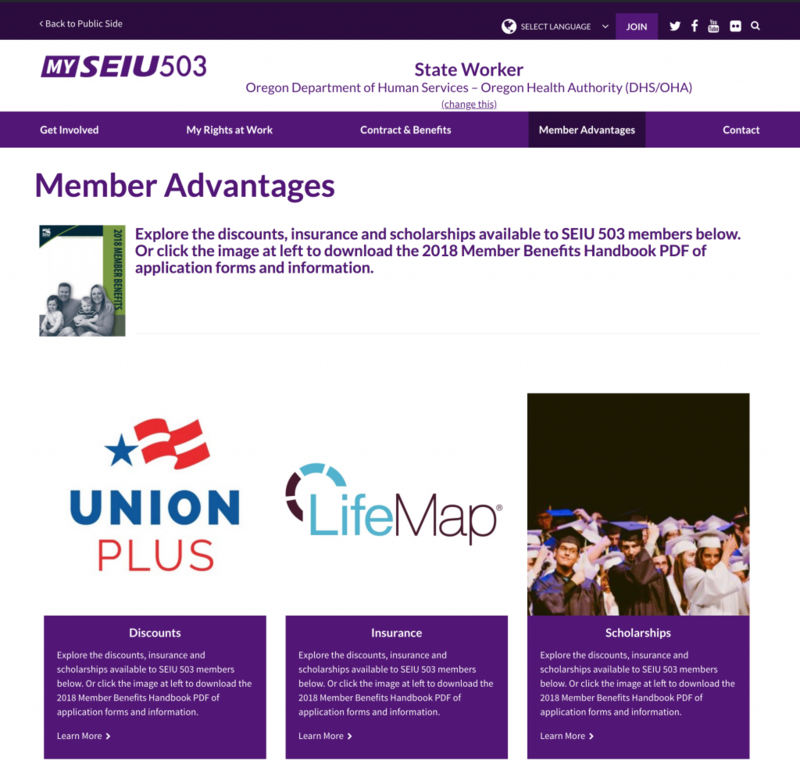 Check out our new Membership Advantages center, where you can learn about discounts, insurance and scholarships. 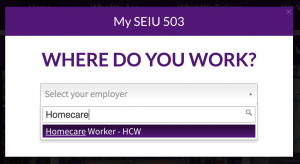 Contacting SEIU through the website is now easier than ever. Our contact page includes area and issue specific contact information, including a new phone number you can call for any reason and get directed to the right place. 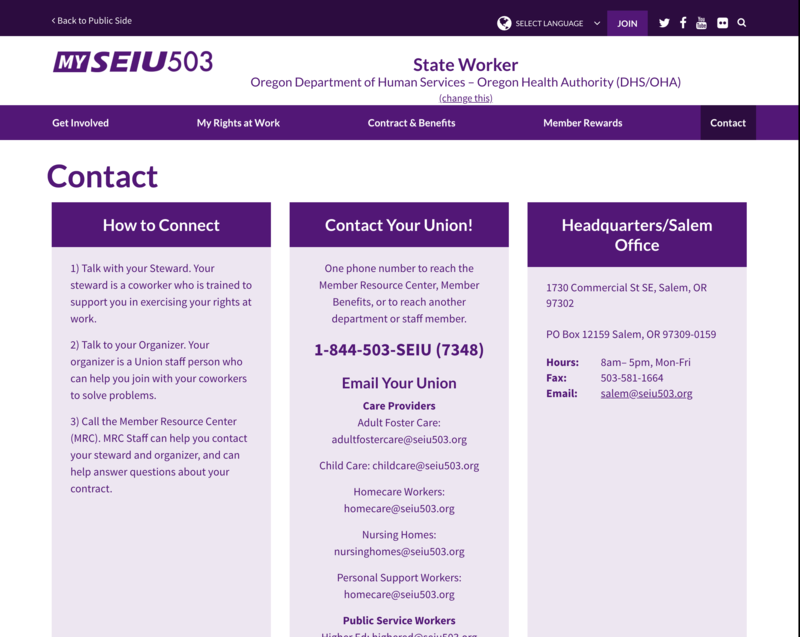 The new website is available in the five most common languages spoken by SEIU 503 members. 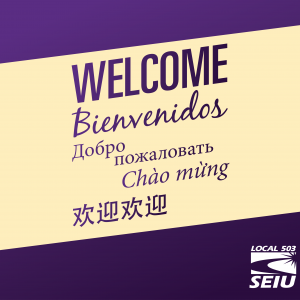 Click on the select language link at the top of the page to choose from English, Spanish, Russian, Chinese or Somali. People are increasingly using phones and other mobile devices to access the web. 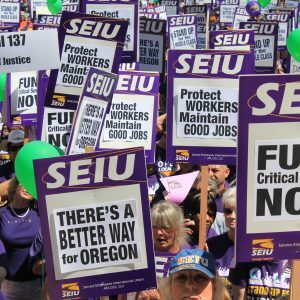 We know many SEIU members don’t even own a personal computer anymore. That’s why we focused on building a mobile-friendly site. Try it on your phone. It looks great!